In 1952, a little Dodge van drove down the streets of Marshall, Minnesota, carrying ice cream treats. 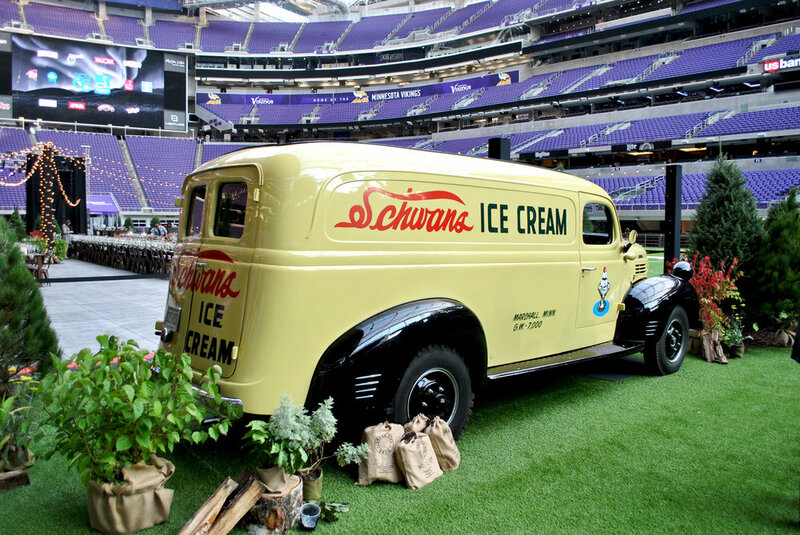 In 2017, a similar truck stood proudly on the field at US Bank Stadium during Schwan's Feast on the Field Event. 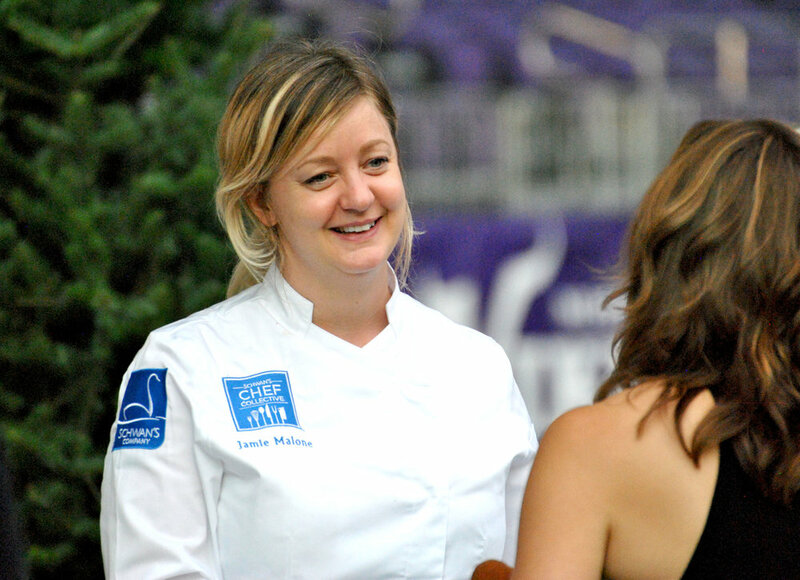 On September 14, Minneapolis socialites and foodies gathered on the field at the new US Bank Stadium (and soon home to the SuperBowl LII) to enjoy a meal together cultivated by the Schwan's Chef Collective. The Collective includes local chefs such as Jamie Malone (Grand Cafe) and Ann Kim (Young Joni), chefs from across the country like Adrienne Cheatham (Red Rooster in New York), and even a few chefs from TV-- we’re looking at you, Jet Tila. Members of the Collective are integral in the process of creating new dishes and products for the Schwan's company, making sure to fuse innovation with ease, and taste with excellence. The evening began with a social hour, with Bittercube-advised cocktails and chef-inspired appetizers. Cocktails inspired by the seasons made for a wide range of choices, and each paired well with the fun, upscale comfort food. A four course dinner followed, featuring a venison tartar and pan seared duck breast. Dessert followed with the ever-popular ice cream treats and a DIY s’mores bar. Food aside, and future forward, the event also served as the launch point for a $150,000 donation and charitable partnership between Schwan's and the Minnesota based non-profit, Youth Farm.